Revware Inc., manufacturer of the MicroScribe line of portable CMMs and innovator in the field of data collection, 3D modeling, and CAD-Driven Reverse Engineering (CADDRE), is pleased to announce the release of the MicroScribe iL. 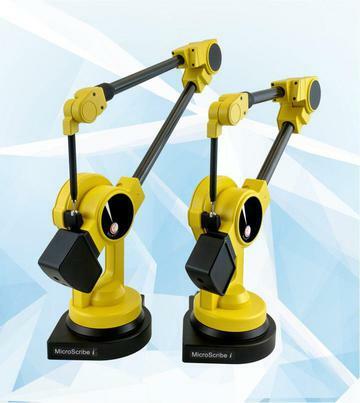 With accuracy of up to +/- 0.006" and a reach of 33" (66-inch sphere working volume), the MicroScribe iL digitizing system combines accuracy with versatility, seamlessly integrating with many CAD, measurement and inspection software packages available in today's marketplace. MicroScribe iL, is the 33”-reach version of the MicroScribe i.